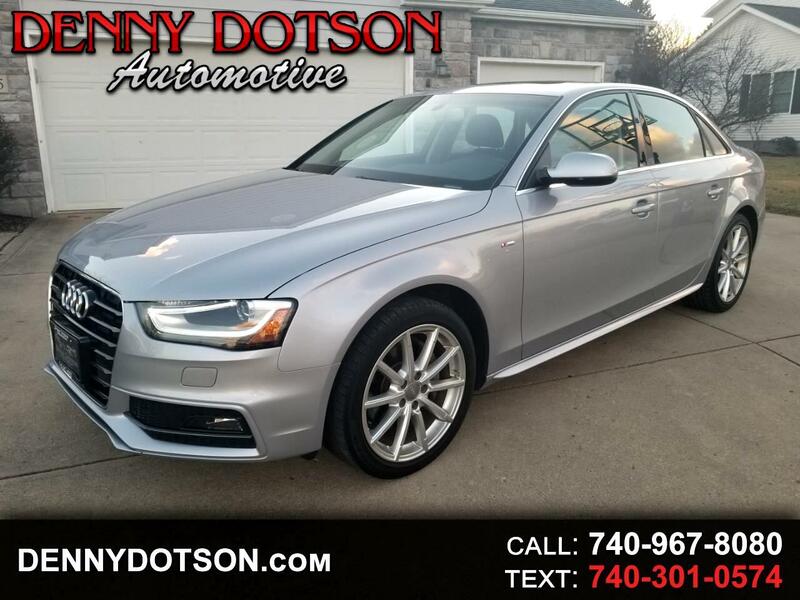 Used 2016 Audi A4 Auto quattro 2.0T Premium Plus for Sale in Johnstown OH 43031 Denny Dotson Automotive Inc.
2016 Audi A4 Premium Plus Quattro S-Line with only 40K miles. Clean history with no accidents. Local car since new. optioned up nicely the the S-Line Pkg, Premium Plus Package(Auto-Dimming Interior Mirror w/Digital Compass, Heated Auto-Dimming Exterior Mirrors, Memory Function for Driver), Convenience Plus Package( 8.0" x 18" 10-Y-Spoke Wheels, Audi Advanced Key, 3-Step Heated Front Seats), Technology Package(Includes TFT color, WVGA, 7" display screen, control knob with joystick and buttons in center console. Operates climate control, central locking, instrument cluster, vehicle diagnostics, cellular phone, navigation, CD and radio functions, Bluetooth streaming audio and MOST optical bus connecting all infotainment electronics, Audi Connect w/Online Services, Audi Side Assist, Bang & Olufsen Sound System, Color Driver Information System w/Trip Computer, HDD Navigation w/Voice Control, Parking System w/Rearview Camera). Great looking, well optioned A4.